What does success look like? And how do we get there? See technology in action in real workflows, directly from the people living it day to day. They will show functional examples of what digital maturity looks like on the ward and in the Salford Experience Centre. Note: the Hospital Tour is now Full. Click "Request an Invitation" to be added to the waitlist. Meet your peers, speak with leaders, build your network and perhaps meet a mentor all over a lovely full course dinner. Note: the dinner has only 19 Spots Remaining! Note: the summit has just 12 Spots Remaining! Digital Transformation – What Does Success Looks Like? Drawing from digital exemplars, this session provides a vision from the top of digital transformation: the national directives, the alignment with local objectives and strategies, but also the challenges and how to overcome them. ‘’We will use digital maturity models such as HIMSS’ to increase the efficiency and safety gains of a fully digitised healthcare service for all hospitals.’’, stated Matt Hancock in his policy paper ‘’The future of healthcare: our vision for digital, data and technology in health and care’’. Maturity models such as EMRAM are not just assessment tools. This session will demonstrate how they can provide a roadmap for those committed to drive their organizations toward digital excellence. One of the important steps on the road to digital maturity is the implementation of Closed-Loop Medicine. This session proposes a checkpoint on the topic with a concrete case study and practical lessons learned. A highly participative session, the HIMSS CxO Dialogue uses an open discussion format to engage the entire audience in sharing experiences and best practices, and identifying challenges and how to overcome them together. 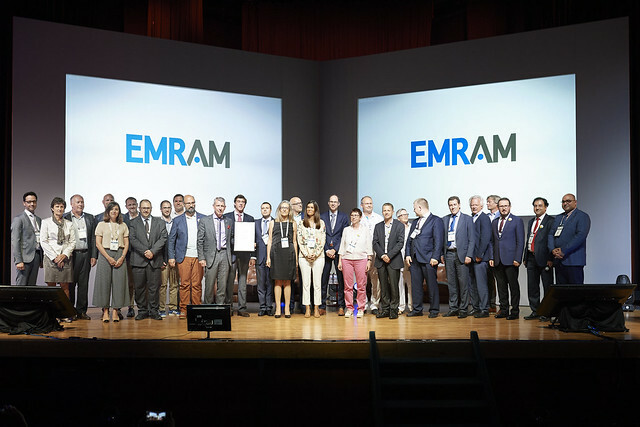 Wondering where your organization is on the HIMSS EMRAM scale? And how you compare with the rest of the care providers in the room? Although it will not provide a full and certified assessment, this interactive and playful session will give you an indication of where you are on the digital maturity roadmap and give you concrete indications on where you need to concentrate your efforts in order to drive your organization toward digital excellence. Case study and Q&A with the audience. Another important step on the road to digital maturity is the implementation of CPOE and e-Prescribing. This session proposes a checkpoint on the topic with a concrete case study and practical lessons learned. Opening EHR and innovation to working with startups has been on NHS England’s agenda and on the radar of many care provider organizations. At the same time hospitals and startups seem to live in very different world where the rules of engagement are not always very clear. So how do you navigate the jungle of digital health solutions, evaluate solutions and engage with entrepreneurs. This panel, followed by a best practice forum (open conversation with the audience) will provide real-world answers to real-world questions. These closing remarks will at the same time summarize highlights and lessons learned and decide with the audience on the focus of the next HIMSS DM Series.